There are many things to consider when buying a Florida business but no matter if you have been a business owner for years or are just breaking free from a corporate life, taking certain steps and making some decisions prior to getting started will make the business acquisition process all that much easier. Sure a Buyer will have to assess their financial situation and look at how much money they have to put down, as well as what their living requirements will be, but successful entrepreneurs that are ready to take action tend to take their planning to the next level. For many entrepreneurs buying a business in Florida is an American or even International dream, they have the money to make it happen but some fail to realize just how big Florida is. With over 800 miles and a 12 hour drive, from one end of the state to the other, finding the right Florida business for sale becomes near impossible because there is too much physical ground to cover. It is not only the distance but the cultural, economic and style of living can vary drastically in various parts of Florida. It is important for a buyer to take these things into consideration before they start randomly searching for Florida businesses for sale. Doing a little homework and narrowing the geographical territory of the business search will greatly improve the effectiveness of the search. Many times proximity of family and friends, or accessibility to international flights may play a role when it comes to selecting an exact location for buying a Florida business. It is important for Buyers to do some internal soul searching. The Business Brokers at Truforte Business Group like to refer to this as identifying your true forte or strength. It is always easier if a Buyer is focused on a particular industry or area of expertise. That could mean management, creativity, logistics, organizational skills or any number of things. It is not only about industry but in most cases there needs to be an internal reason to buy a Florida business. For the Buyer who just wants to buy “a good one” the day may never come for that Buyer will not know a good Florida business for sale even when he does find it. Examining the individual internal motivations can be one of the keys to successful business acquisition or divestiture. Contacting a Florida Business Broker can be one of the most important things to consider as a Business Broker is capable of directing a buyer to a vast amount opportunity and assisting them with obtaining confidential business for sale information. Without the involvement of a Business Broker in many cases it would be near impossible for a buyer to obtain the information necessary for them to make an informed decision about buying a Florida business. 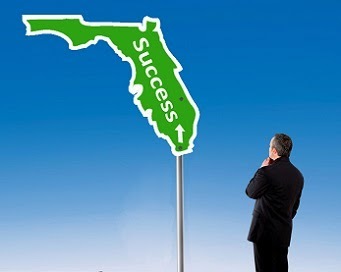 Once a Buyer has considered the necessary steps and determined that owning a Florida Business is for them contacting the Business Brokers at Truforte Business Group will immediately give them access to thousands of Florida Businesses for sale through both the Business Brokers of Florida and the Alliance of Florida Business Broker associations.